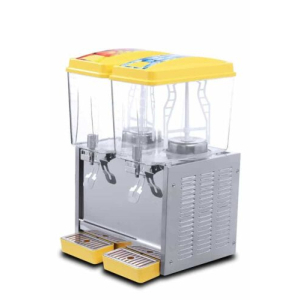 Dual Tank Juice Dispenser Suitable for sandwich bars, pizzerias, snack shops, fast food chain, institutions, restaurants, hotels, bars. 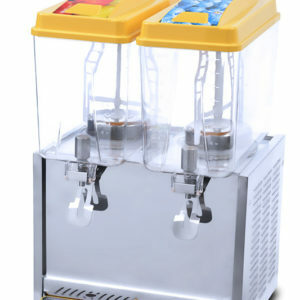 Single Tank Juice dispenser with compressor, perfect for beverage shops and restaurants. 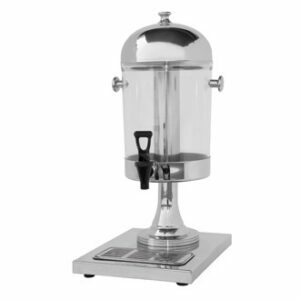 Get more value from this Double tank Juice dispenser. Host the best dinner party and keep beverages cool and warm as well. Perfect for your bar or home. 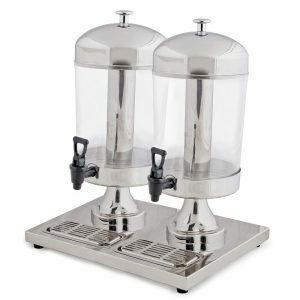 Get this beautiful Single Tank Juice Dispenser, perfect for serving Tea, Juice and other beverages. Add it to your bar or home. 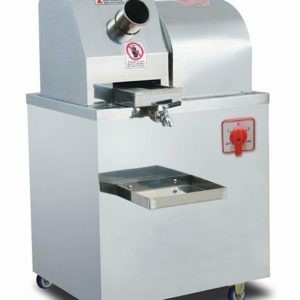 Fruit Juice Maker range. Model: NJ2000 made from Stainless Steel.